Starting a business is always accompanied by an initial flurry of excitement, enthusiasm and thrill of what the business can accomplish. However, these feelings can disappear quickly if you fail to tackle some of the most common initial business stumbling blocks. In U.S., seven out of ten new employer firms last at least two years, and about half survive five years. At a time when new business survival rate is low, this article intends to make you aware and get you prepared to tackle these speed bumps. This is the first and foremost foundation block of any successful business. A new business is obviously born with an idea, to make things easier for a given set of customers; however it is proper planning and execution, based on a growth oriented framework which carries the business ahead. So if you are in a hurry to start off, you will shortly come to a situation where the next step seems blurred and multi directional. This will become a major cause for hindered growth or even closure of the business. You can avoid this by having a clear objective and passion driven growth plan and a promise to follow it at all times. There a two set of businessmen, one: looking for short-term monetary gains; their objective is to make as much as possible when the market is ripe and skip on to the next one when the chips are down. Second: visionaries who plan big and live a dream to serve the customers and think about the greater good; for them monetary rewards become part of their growth and not the objective in itself. If you are the first kind, you can stop reading this article right here, but if you are the second, then make sure that your overall business objective should be to make the life easier for your customers and serve a good purpose, believe me; money will follow you. Keep a serious watch on this. Do not screw up with your product or service quality. This becomes even more important as you are a start up. Most businesses start with an idea and due to lack of experience and over enthusiasm to deliver, at times compromise with the quality, which can prove extremely fatal. So always keep it a point to keep the quality to the best with your existing resources, put everything and stretch all your resources to get the best. Thrill and satisfy your customers. 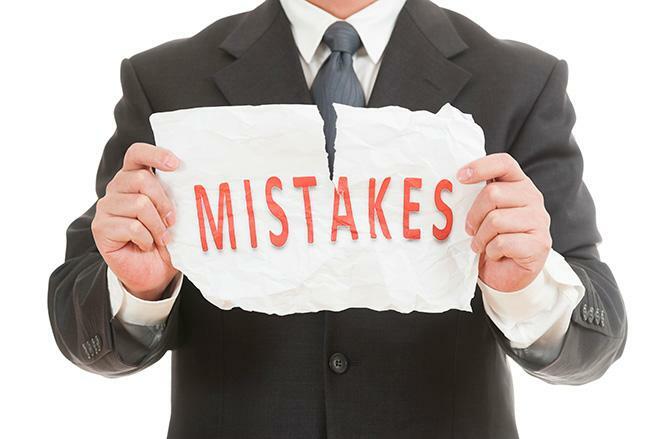 This is a common mistake that most nascent businessmen indulge in. They promise a schedule and deliver on another. This shows lack of professionalism and will immediately make your existing customers averse to you. So work harder to deliver on time. Next immediate thing to do is to follow up with a decent after sales support and guarantee customer satisfaction. You can also devise customer satisfaction metrics and follow them. You will actually sell your brand more when the customers love using your products and not just buying them. So ensure proper after sales service and customer relationship activities. For small business that cannot support a complete customer support infrastructure, virtual customer support is a great option that saves costs too. Some start ups get over board and invest a lot in things that they feel important rather than going as per a growth oriented investment plan. The key here is to develop and deliver your products first; everything else is secondary, so bear it in mind that your initial investments should always be in this direction. Investing in top-of-the line office interiors, hiring support staff and building the related infrastructure, spending heavily on IT licenses – all add up to the cost. This unwanted expenditure can be minimized by using hosted SAAS based applications, hiring virtual assistants for back office tasks, and using shared office spaces. New entrepreneurs try to cover all the bases in one go, and very soon get exhausted of the whole business process. They get so involved in running the business that they forget about growing it. A business owner must act like an entrepreneur only and not get too involved in day-to-day administrative and back-office tasks. Once the systems and processes are set, these tasks should be delegated to other in-house resources or virtual administrative staff. Though this is a small list of don’ts, they will surely help you tread and maintain a reasonable growth path. Good luck.